Subwoofer System for 16M, 430 spider and 360 spider. 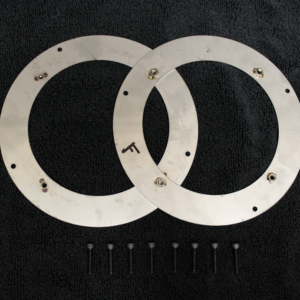 Scuderia Audio offers custom designed/CNC manufactured subwoofer systems for the 430 Spider, 16M and 360 Spider. The JL Audio 8W1V3's new design results in crisp, clean, tight and accurate bass. With 300 Watts or more, the bass will definitely move your hair. No seat interference. 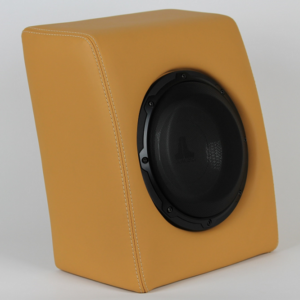 Includes enclosure, OEM Ferrari leather, stitching, subwoofer, stainless mounting bracket, speaker wire and all mounting hardware. Alcantara and special order leather colors add $400. Unconditional 30 day money back guarantee on standard leather colors. Please specify either 8" or 9" version. Measure from the floor up to the bottom of the rear glove box. 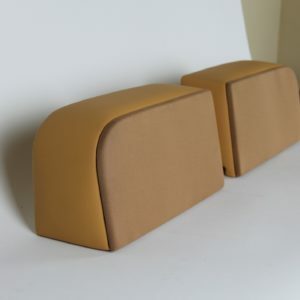 The boxes are reassuringly solid as a rock, but the slightly padded leather finish softens the box and the colour-matched finish looks terrific. Surprisingly the items aren’t too heavy either for such well made pieces (which will please those bulimics who are constantly seeking to shed weight off their italian thoroughbreds). 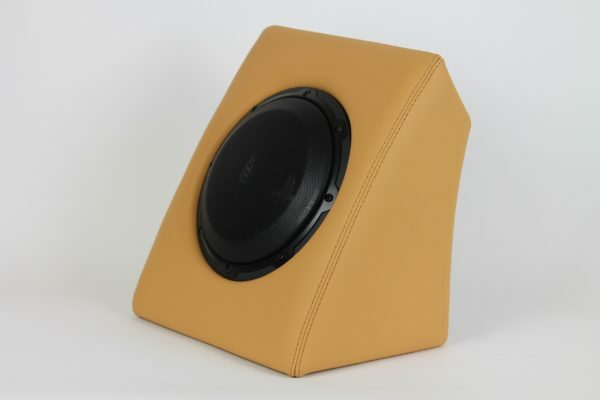 Subwoofer enclosure + sub for 458 Coupe and Speciale. 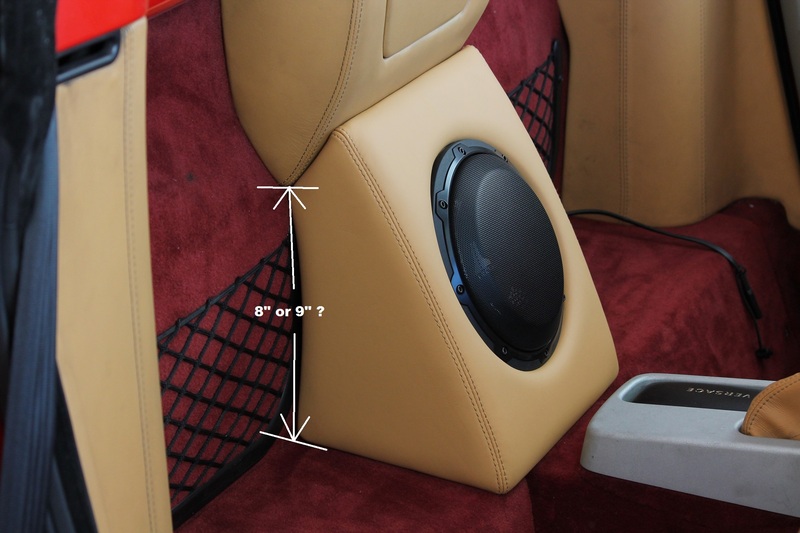 Subwoofer system for 355 Spider (6-speed only). 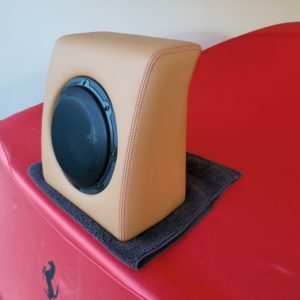 Subwoofer enclosure + sub for 488 Spider.